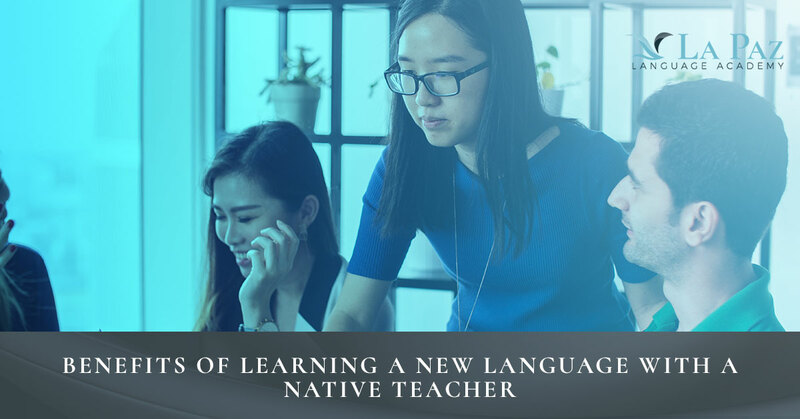 Learning a new language can be daunting for some people, especially those who are not a fan of the traditional classroom setting that most language schools enforce. As the Top Rated Local® language school in El Paso, TX, La Paz Language Academy has been revolutionizing the way foreign languages are taught by employing native language teachers to bring their real-world experiences to the classroom since we first opened our doors. That being said, here are a few benefits of learning a foreign language with a native-speaking language teacher who has a passion for the culture and traditions behind it. If you’re in the process of learning a new language, you’ve likely been told that the best way to learn a new language is to immerse yourself in the culture where it is spoken. While this is ideal for language learners of all ages, traveling can be expensive, depending on the airfare, hotel costs, and other accommodations during your stay. That’s part of the reason why we have a staff of native-speaking language teachers here at La Paz — they provide a secondhand culturally immersive experience at a fraction of the price that it would cost to travel to a foreign country. So what do we mean by secondhand cultural immersion? In each and every one of our language programs, we include arts and culture as an integral part of the language curriculum for different age groups and language learning levels. This means that when you sign up for language classes at La Paz, you can expect to learn about the traditions, holidays, arts, music, food, and other aspects that contribute to the culture of the region being studied. In our Spanish classes for kids, for example, students will study different Latin American countries and important aspects of their culture, such as Day Of The Dead, papel picado (prayer flags), tamales and other authentic cuisine, Mariachi music, Flamenco dancing, and much more. Plus, language students will get to hear the firsthand stories of their language teachers, many of whom grew up in the region or lived there most of their life, which helps to attach meaning to certain Spanish words and phrases. With cultural immersion often comes a greater appreciation of the culture and traditions of the region where the foreign language is spoken, as culturally immersive teachings serve to bridge the gap between “us and them.” By teaching the foreign language from a firsthand perspective, our language teachers help students understand the value of the language and how it is used throughout the world, as well as the value of different cultures and diversity as a whole. Oftentimes, our language students discover a passion for the language they learn at La Paz, which leads to greater success learning the language. Our language teachers firmly believe that one of the best ways to learn a new language is to develop a genuine interest in the culture behind it, as this helps students overcome challenges and persist rather than giving up. And, as many of our language students will attest to, it is much more enjoyable to learn a foreign language when you have a real passion and desire to become fluent so you can use it in your travels, business operations, or just your daily life. Numerous studies show that, aside from starting at a young age, one of the best ways to learn a new language is to become as immersed as possible, whether that means studying abroad during college, moving to a foreign country (or visiting on a volunteer trip), or enrolling in a language course with a native-speaking teacher. At La Paz Language Academy, we attribute a major part of our students’ success to the fact that they are taught by a language teacher that brings a unique, personal experience to the classroom (in addition to their own passion for the language), which is valuable, relatable, and intriguing to language students. As previously mentioned, this real-life experience helps students attach meaning to the words, phrases, dialects, and grammatical language structure they are learning, which is critical for not only the students’ academic success, but also fueling their genuine desire to learn the language. This passion then translates into better classroom attendance, higher test scores, more language practice outside the classroom, and therefore, a greater appreciation for the language, the people, and the culture. Only then will students truly be able to retain the information they are taught in the classroom and master the target language, which is our ultimate goal at La Paz Language Academy. Without the unique, culturally immersive experience our language teachers bring to the classroom, La Paz Language Academy would be just another language school in El Paso. Yet, each and every one of our language teachers is passionate about what they do and help instill that passion in their students. If you want to learn a foreign language and are wondering where to start, check out our language programs at La Paz. We offer language classes for adults, high schoolers, children, and corporate groups at different language levels and in many different languages, so there truly is something for everyone at our language school. Contact us today to learn more, and enroll in one of our language courses today to learn a new language fast and with confidence!